Luckily, a professional map maker has rendered a better version of the ‘King of the James’ event course. A big shout out to Abby Bobb for putting this wonderful map together! Are you familiar with the course? 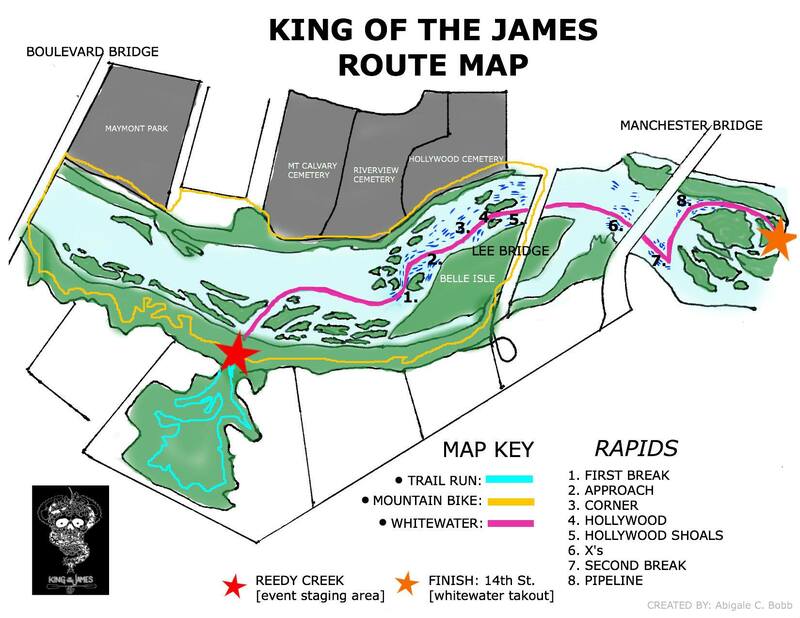 Be sure you are fully aware and confident with the Trail Run, Mountain Bike, and Whitewater section of King of the James! Please be respectful of others while participating on this open course. Thanks again Abby!